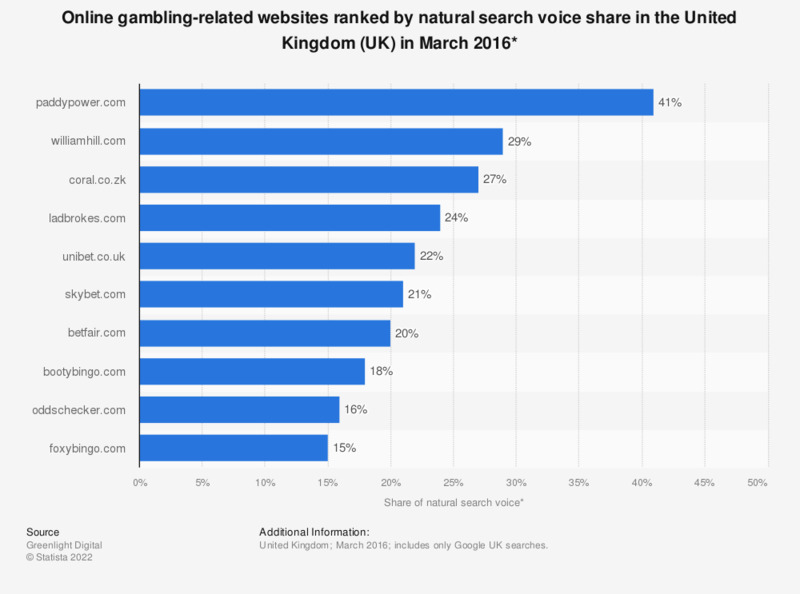 This statistic ranks online gambling websites by share of natural search voice on Google UK in March 2016. The website paddypower.com had a share of 41 percent that month in natural search in the United Kingdom. * The share of natural search voice is calculated considering the share of keywords for which the website ranked in search results.